Hearts are in. I'm into hearts. Big time. I've been ogling this sweater from J.Crew and was really excited to see a good budget option. PS - I've got a fun little heart DIY project coming up this week. So keep your eyes peeled. 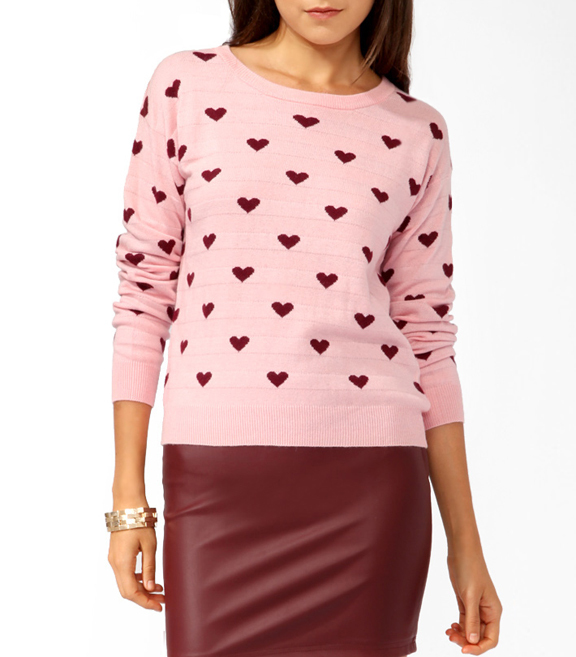 You should check out this heart sweater at Kohl's. I have it in a color not shown online, but it's tan with black hearts, and it is the cutest most comfy thing! Yeah that sweater at J.Crew is super cute.